A check on IndiGo's website showed Delhi-Mumbai fares for later this week going upwards of Rs 7,525. In comparison, fares in July in Delhi-Mumbai route started from Rs 2,199, less than one-third of current fares. Tickets for Indigo's Rs 899 offer can be booked till June 14. Ahead of the lean travel season, IndiGo has come up with a new promotional offer called 'All Time Low', under which India's biggest carrier is offering fares starting Rs 899. According to IndiGo's website, tickets for the Rs 899 offer can be booked till June 14 and is applicable for travel between July 1, 2017 and September 30, 2017. IndiGo did not disclose the number of seats available under this 'All Time Low' offer. This offer is subject to availability and is applicable on all our booking channels, IndiGo said. IndiGo also said the offer is valid on select one-way domestic routes. According to IndiGo, this promotional offer is valid only on non-stop flights from Agartala, Ahmedabad, Amritsar, Bagdogra, Bengaluru, Bhubaneswar, Chandigarh, Chennai, Coimbatore, Dehradun, Delhi, Dibrugarh, Goa, Guwahati, Hyderabad, Imphal, Indore, Jaipur, Jammu, Kochi, Kolkata, Kozhikode, Lucknow, Madurai, Mangalore, Mumbai, Nagpur, Patna, Port Blair, Pune, Raipur, Ranchi, Srinagar, Thiruvananthapuram, Udaipur, Vadodara, Varanasi and Visakhapatnam. 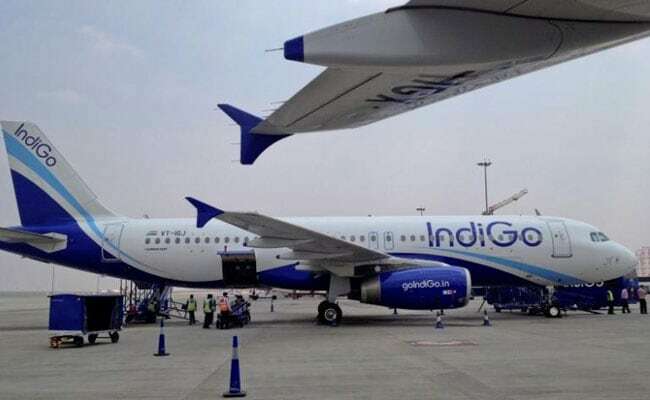 IndiGo on its website said that the Rs 899 offer is applicable on the Bagdogra-Guwahati route. Starting fares on some of the other routes include Delhi-Mumbai Rs 2,199, Delhi-Nagpur Rs 1999, Delhi-Udaipur Rs 1,599, Delhi-Kolkata Rs 3,097, Delhi-Ahmedabad Rs 1,999, and Bengaluru-Mumbai Rs 1,899. A check on IndiGo's website showed Delhi-Mumbai fares for later this week going upwards of Rs 7,525. In comparison, fares in July in Delhi-Mumbai route started from Rs 2,199, less than one-third of current fares. Similarly, Bengaluru-Mumbai fares start from nearly Rs 5,500 for later this week. In comparison, promotional fares started from Rs 1899, also nearly a third of current prices. Other carriers too have been coming up with low fares to woo flyers. Vistara, for example, has announced all-inclusive fares starting Rs 849 in economy class and Rs 2,099 in premium economy. Discounted fares from airlines amid growing competition have spurred a strong growth in air travel in India. Passengers carried by domestic airlines during January-April 2017 were 364 lakh as against 309.35 lakh during the corresponding period of previous year, registering a growth of 17.71 per cent, according to data from Directorate General of Civil Aviation.